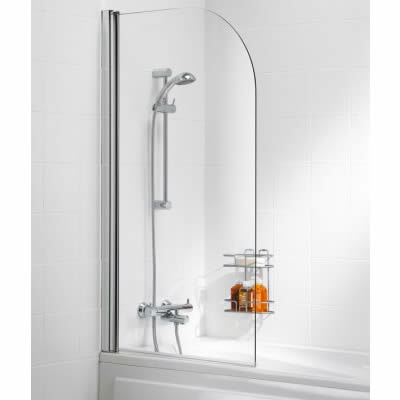 Replace your old shower curtain with the elegant Waterford Swing Bath Screen, by quality bathroom manufactures Alpine. 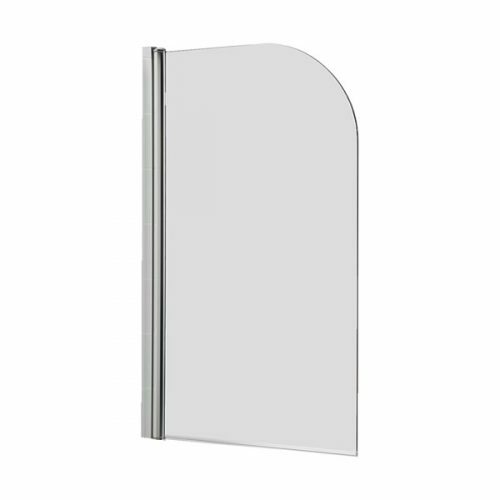 This bath screen is highly stylish, incredibly practical and is the perfect addition to your bathroom. Equipped with a pivoting door, the Waterford Swing Bath Screen looks simple, smart and neat. It is made of 6mm toughened safety glass and measures 855-880x1500mm in dimension. It features a reversible design and can be installed in either left or right hand configurations. The Waterford Swing Bath Screen features minimal framework, which allows this screen to blend seamlessly into your bathroom interiors. The few frames it does contain feature an elegant chrome finish. There is also a handy water seal along the edge that ensures no water seeps through. Alpine has cleverly designed the Waterford Swing Bath Screen to allow for high practicality and easy installation. No professional needed – just a little DIY experience. Alpine offers a 5-year warranty on this product. The Waterford Swing Bath Screen is a quality product available at a very affordable price. Purchase your new bath screen from Perth’s bathroom specialists, Ross’s Home Discount Centre. Shop online to take avail of free Perth Metro delivery or visit the showroom in Guilford to take home this product today.